Venturing into international trading is never an easy thing. When you talk about bringing your business to the global stage, you speak of dealing with people from a different culture which intrinsically have a unique set of beliefs or otherwise similar to yours. Although money is a “religion” which people across the globe understand, there are some elements in international trade that make the process less simple as rooted in the disparity between legal norms. But while legality is one thing in business, politics is not the sole reason why international business is rough for many, if not all. Yet, there are also other factors at play that makes the process of making trades more complicated than it could be. A business will not be considered “global” by scope if it does not go overseas. Whether it is a country next to yours or from a faraway place, an international business is always concerned on a few critical areas, namely the geography and the transport of goods towards the location. But although there are now a handful of means by which the goods are safely transported from one destination to the next wherever in the globe, there are also underlying issues in this matter that is truly a concern to the exporter, like the prevailing norm to the target locations and the risk of losing the cargo at any point in the delivery process. To offset these latent problems, it is always wise to make due research to learn about your new target market and adjust your business plan accordingly while also making sure that your goods are insured in whatever troubles it may face, either on sea or on air. When dealing with customers from far-flung places, having the right method of conducting financial transactions is very important. By tapping with today’s available technology, cashless payments should already be at the core of your business. Considering that each country has its own currency and whose value may be more or less than others, digital transactions make for a boon in international business where easy conversions are made without fault. In business, trust is everything. But trust is that fickle thing that is not easily formed, especially between two people who speak two different languages. Although many people nowadays have grown accustomed to speaking English as a vernacular in business, that is mostly in the formal sense and may not necessarily apply at the local scene. If you want to foster trust with your target market, you must learn how to communicate using their language. The process of exporting products to another country is not a one-way thing where you, as an exporter, just simply send out goods to an intended country and it will just be received by whoever and let its distribution go to the market. It does not really work that way. When there is an exporter—which is you, for example—there also has to be an importer, too, who basically handles the goods you sent for sales and distribution. Yet, while it may sound so simple, finding the right person to do proper business with you is not always easy. In any undergoing which involves money, there are potential scammers who are dishonest enough to take away money from other people. Otherwise, they may simply be ineffective in the trade they ought to be doing. Business going global means facing new challenges. A lot of threats or trials that will need to overcome in order the business to prosper or get to the top and can compete with the other businesses in abroad. When the company is planning to get on international dealing, we all know that there are so many aspects to consider with, like the country norms, legalities and etc. But on my own outlook, one of the issues Negrenses face when doing a business abroad is finding the right importer to deal business with. Because a right business importer has a significant role for the whole process of the business. As we all know scams and dishonesty is very rampant in the business industry, that’s why the company must research and find a trustworthy importer. If a company has a trustworthy business partner for sure the company can reach its goal, profit, satisfaction and success. A business partner that can take good care of the products that the company sending to their country, a partner that can help the company successful, not a partner that can give hardships and trouble in the business. Always build a trust and good relationship with your importer to have this win-win business connection. Because if the company select a wrong importer it can cause the company losses or might be one of the main reason that the business can’t compete with the other businesses internationally. Modes of transport – Negros Island don’t have an international port where we can send directly our sugar products in the international market. Aside from the imposition of tariff and duties, the value chain added on the product continues to rise that will make the Negros sugar less competitive in the international market because sugar exports of Negros will have to go through Iloilo or Manila to be exported in the foreign market. To be able to compete in global market competently, Negros has to establish international ports wherein we can directly send our export products without creating extra value to the product. Shortage of workers – the emerging trends in role reversal among sugarcane workers have been steadily rising. There is a shortage of workers because some households’ prefer to work in the urban area because the salary is much more higher compared to farming income. The government should create programs that will attract people to engage in farming and implement them effectively. Disinterest of farmers’ heir to farming– due to globalization, convenience has been everywhere and most children of the farmers migrate in the urban area and pursue education to get their way out of poverty because they believe that farming will not be enough to suffice their daily needs. Programs about farming should be a priority since the disinterest of the children comes from the income and the standard of living in the rural areas especially those who were involve in farming activities. Getting the right importer – this one is really important, Negros should be dealing with the countries that needs it the most, not on those countries (Brazil, India, China, Thailand & Pakistan) who efficiently produce much more competitive sugar products. Among the common problems presented, the specific issue the Negrenses needs to espouse with is the improvement in the location and transport. It is given what Good Location and well managed Transport can do to effective transfers of goods. 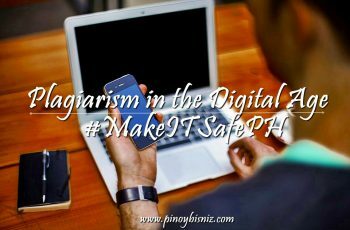 Since, our country, Philippines, belong to an archipelago country- made up of many islands, this location and transport became a primary concern for traders in augmenting or exporting their good and services abroad. Hence, improvement in the location and transport will bring many Filipino exporters to an optimal comparative advantage and cost reduction which will led them to a significant change in their business operations and markets. Thus, I suggest that, instead of the government focusing on detoured issues like that of Sen. Trillanes and other issues that ends up not for the common good. Why not? improve the transportation system especially building bridges to connect one region to another to help lessen the inflation we Filipinos go through today by having a just cost of everything. 1. Given the common problems presented. What do you think are the specific issues Negrenses face when doing business Abroad? How can we address this? -The Department of Trade and Industry (DTI)-Negros Occidental reported that molasses and gifts/housewares are leading products exported to other countries. Exported products are greatly contributing to the economy of Negros Occidental. Negrense needs to improve the packaging particularly the design, and the type of packaging materials to be more attractive to the buyers. Because of the modern technology, even the smallest businesses can do business globally. However, doing business global bring with some challenges including culture and language barriers to shipping costs. When choosing a shipment line partner, need to do more research for the best freight forwarder, do a background check about the company if that’s a reputable company and be careful to deal with and transact only legally. Venturing into international business is not an easy task. If your business bringing into globally stage , you need to deal with different people with different culture as well as their religion. Since the Philippine is an Archepilago, it is made up of 7,641 islands. 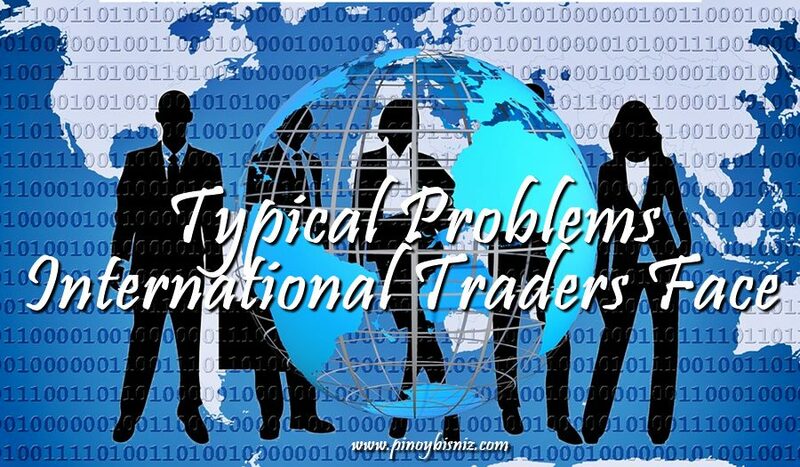 Since Negros island is outside the border line of our country, there are four specific problems that international traders faced: first, is the location and transportation, the payment process, language barrier, lastly is the right importer to deal business with. The traders must be ready for the circumstances that might comes their way, because in doing business specially abroad is very challenging because the location is very far and the transportation is very expensive. The payment process for having the right method is to conduct financial transaction is very important. Because nowadays it is difficult for us to trust anybody when it comes to money. Doing business globally is very challenging when it comes to their languages, because it is difficult for us to speak at different languages. They need to hire expert interpreter to help us to understand each other.That is why language is important to have a business globally. The right importer to deal business with is to know the quality of your product that you are going to import in order to make your business succeed. 1. Philippines is an Archipelago which means it’s a group of islands, and Negros is one among the 7,641 islands. Negrense is well known for their good craftsmanship which leads to exporting businesses and better opportunities all over the globe. Aside from its advantage we also have to deal with the challenges and disadvantages on our part as a citizen of Negros Occidental. First thing to consider is the shipment of our goods which I think one of the most common problems we are facing right now. We have to consider the process from product acquisition to document processing, application and submission up to product selling. Since our region is way far from the capital of the Philippines (Manila City) we have to deal with the shipment of our products from local to national, although we already have direct flights from our region to international but limited only. Rates and costs for shipments now arrived. . These things create great impact not just on the price of the goods but on the efficiency, reliability and speed of service, locally and internationally. As we all know, each country have their own currencies, it is important to keep an eye on this as changes on rates is on a daily basis. As business men who export product globally, this is very crucial for us since we have to monitor the current rates on a daily basis. This is also one of the challenges we Negrosanon have to face. We have to strategize for us to survive and to avoid potential money loss and waste of funds. How can we address all of these challenges? Hard work and perseverance, Negrense is well known for their genuine strength that even smiles in times of troubles. We just have to learn the culture of other countries, study the latest trends and important factors regarding international trade. We have to learn how to approach business globally. In terms of transportation, global set up is more advance compared to us and we have to deal with it. We should be more flexible and adaptable to any changes and maximize our own resources here in Negros. 1. Philippines is an Archipelago which means it’s a group of islands, and Negros is one among the 7,641 islands. Negrense is well known for their good craftsmanship which leads to exporting businesses and better opportunities outside all over the globe. Aside from its advantage we also have to deal with the challenges and disadvantages on our part as a citizen of Negros Occidental. First thing to consider is the shipment of our goods which I think one of the most common problems we are facing right now. We have to consider the process from product acquisition to document processing, application and submission up to product selling. Since our region is way far from the capital of the Philippines (Manila City) we have to deal with the shipment of our products from local to national, although we already have direct flights from our region to international but limited only. Rates and costs for shipments now arrived. . These things create great impact not just on the price of the goods but on the efficiency, reliability and speed of service, locally and internationally. As we all know, each country have their own currencies, it is important to keep an eye on this as changes on rates is on a daily basis. As business men who export product globally, this is very crucial for us since we have to monitor the current rates on a daily basis. This is also one of the challenges we Negrosanon have to face. We have to strategize for us to survive and to avoid potential money loss and waste of funds. How can we address all of these challenges? Hard work and perseverance, Negrense is well known for their genuine strength that even smiles in times of troubles. We just have to learn the culture of other countries, study the latest trends and important factors regarding international trade. We have to learn how to approach business globally. In terms of transportation, global set up is more advance compared to us and we have to deal with it. We should be more flexible and adaptable to any changes and maximize our own resources here in Negros. 2. Filipinos are risk-takers, resourceful, competitive and adaptive, these traits combined with an in-depth knowledge from investing in extensive research, planning strategically, trying out different systems and methods can really be a big help in preparing to compete globally. By these traits, we are more prepared in facing the competitive world of business. In my own opinion, We Filipinos can surpass all of these challenges we are facing right now. Accepting the fact that Global businesses are more advance compared to us, we have the will to compete globally. 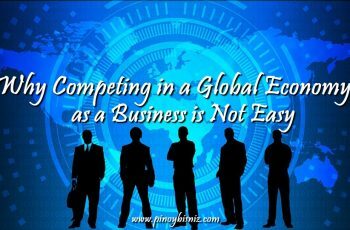 Filipino’s are very hard working individuals which is one of the traits for the business to survive. As individuals we should be more vigilant, resourceful, creative, innovative and adaptive in this modern world. By this, it will enable us to be armed and prepared before we engage in war. Politics, another factor that needs time to study and understand. Different countries have different political systems. Here in the Philippines, we have different approach in terms of business agreement. Other countries have their own way of dealing with it. Government played a crucial role in expanding business globally. From the operations to technicalities. Careful assessment to political, economic growth and movement of the target country is a must. And all gathered information’s can be used as a tool identifying opportunities and threats in investing in a particular country. We should start it with in our boundaries, Government should support local business, if the local businesses are expanding and doing better with in our country, the possibility of expanding it globally is much stable. Going globally is not just like a walk-in-the-park. We will need all the help and assistance we can get, like from our government. There are a lot of programs government should consider; one example is to streamline business registrations, quick, fast and easy. By this the hassle free processing is much appreciated. Another one is to offer a diverse government-backed loan programs/financing. Expanding a business is not a joke. You should have a bigger capital or investment to wok it out. Government should also invest in Education and Training for small and medium enterprise. Product and process knowledge on how to run a business is one of the factors for a business to survive. Government should form ties with Universities and entrepreneurs and they should be considered to be part of high school curriculum. In addition, research and development should also be strengthened to continue developing strategies, products and technologies which can help improving different areas in our economy. 3. Filipinos already proved itself in different areas globally. It may be in arts, sports and other crafts. We Filipinos believe that we can do better and compete with other countries. Competing globally is not an easy journey for us given the amount of resources that we have and the kind of politics existing in our country right now. In my own opinion we can survive this competitive for as long as we maintain having the right attitude. Positive attitude towards our dreams in life could be one of the factors that could move our business globally. We should believe in our selves that we can do it. We should strive harder, improve more and grow bigger and reminding us to keep our feet on the ground. In addition we should be more persistent and innovative which I think we Filipinos are doing now a days. Try to explore and research new trends in business economy. Go out from our comfort zone and innovate our product or services into the next level. And while we keeping an eye with competitors, it is best to always remind ourselves that the biggest competition we have is nothing but our own selves. At the end of the day it is not the one that on the top but the one that survives. 4. We Filipinos are rich in cultures and traditions, a combination of eastern and western. Our attitude towards work and the nature of hard work is always present to us Filipinos. But why is it that we always have these challenges in surviving or competing globally? Our cultural difference is considered as hindrance in the global world of business. But I believe that we can do more than other countries. We should be more creative and always deliver a good attitude on what we are doing. Let us accept the fact that we Filipinos have also a the other side, the bad side, which, admit it or not, some of us possess and apply which can hinder us ineffectively competing globally. Crab mentality, where the main goal is stepping and pushing each other down for personal gain. Competition is good but we should always take in consideration our principles in life and that is to be fair and doing things in a right manner. . Doing everything to get even with others to get to the top, a true mark of a selfish individual. Procrastination or the Mañana habit. The endless belief that we always have tomorrow. What we can do now should be done today, we Filipinos have this traits which I think can affect in competing globally. Everyday is a market day for business, so we don’t wait for tomorrow to come. Lastly, Fatalism. The belief in no-matter-what-happens, come what may. We should not wait for the results to come but we should always have a plan B in the event that plan A wont work. By this, we are always prepared for whatever circumstances that may occur in our business. Problems and challenges are everywhere, most specially in venturing a business outside the country. To start up a business outside the border line of the country or venturing international is not easy. According to the blog there are four (4) specific problem international trader faces and the following are (a) location and transportation (b) payment process (c) language barrier and (d) the right importer to deal business with. The traders must be ready in every issues and problems that might come their way when they are doing business outside the country. As a Negrense I can say in doing business abroad one of the specific issues will be facing is the location and transportation. Hence our place has no bigger Airport and Port that can directly deliver the product outside the country. The product need to transfer from one airport to another airport and may cause the delay. And sometimes we cannot predict the natural calamities that might come. It may cause to lessen the efficiency of the product delivery and sometimes during transfer can damage the quality of the product. This issue can be address if Negros will build a bigger Airport and Port that can deliver the product directly to the other country. And every country has its own language, so language barrier can be one of the issues to be face in doing business abroad. Although many people can speak English for this is consider as a Business language, but some countries cannot speak English fluently. So to address this issue we can hire an interpreter or an expert to help us communicate our business partners outside the country. A trader should be flexible and open to all the changes. Trust is very important thing in any type of business opportunities. Finding the right person for the business needs trust. Moreover, fulfilling good relationships is a must for building the business. Right business means great relationships creating in it. Nowadays, it’s very hard to find the right business specifically international/abroad. You have to abide with the international laws and cultures of the country you want to put up business to. That is why, the ones that are looking are more into Word of Mouth and Social Media. Its fast and easy way to be involve in especially when building/ creating business. People of anywhere of the globe must apply trust in order to build relationships for a great business. As you can see, Trust = Build relationship = Great Business. Having a business can be fulfilling and great accomplishment for most of us. Therefore, Do it!! For a venturer to survive and stand out in the international business arena, it has to be fit in all aspects to the standards of the global market and be able to cope with the trend of times. With the growing popularity of Negrenses in the field of business, being labeled as the “sugarland” and Philippines’ major sugar producer, it is not impossible that it can possess dominion in the international business realm. From Negros Occidental’s famous “piaya” to “puto bongbong” and all sweets you can name, from the rise of organic farming to emergence of BPO industries within the province, Negros has so much strength to offer. However, it is not exempted with the barriers that every business has to hurdle in its venture towards internationalization. First consideration is: Will the Negros businessmen and their products be able to suit the “interests” of people from all walks of life, in the whole world? Second, Do the Negrense traders possess the financial means to conduct research on the varying attitudes of the global market and be able to align their products with the given varying tastes and preferences? Third, How much would be the marketability rate of the negrense products? Does it have what it takes to have the “global market appeal” and be “preferable” than all its other global competitors? Will the import/export expenses, including the compliance efforts and costs to the legalities of every country, be worth it in the end? Lastly, with the fast changing world, is Negros ready to patch up with the technological innovation? As been presented doing international trade is never easy as they require an ample need of trust, the right choice of person to deal business with, the patience to wait and the courage to take the risk. As a Negrense there are difficulties that we may encounter as we pursue our goal of international trading. The era of technology is flourishing right now and the ways and means of product transport and cashless payment arises but we are yet to face and realize this continuing process of urbanization. Negros is a province that has a rich heritage and natural resources but we are not yet ready to go urban since we still have cities and municipalities that are still stuck with the rural living and with that doing international trade can’t be realized. In order to address this there should be a joint initiative with the local government and those local entrepreneurs to update their means and ways in doing business and inject an innovative trend in their products. We can’t be just stuck with the old ways, we need to step up and be aware of the current trends in order to compete globally. Negrenses rely to the ports of Iloilo to export the best quality sugars of the province. To address such, I believe Negros will be more competitive if it has its own international port where we can ship and receive goods immediately from the international market. Aside from this, Negros have a trend where most of the farmers’ children don’t already have an interest on agriculture and this makes it more difficult to obtain manpower to harvest all those crops. Mentioning those, it will result to price increase and lower productivity. Negros failed on the issues of industrial ization program.Industrial development had not performed as well as the other sectors of the economy. Many of our neighbors with farless natural resources than Negrosa marched steadily forward in industrial development.There is no reason why we cannot keep pace with them. We can address this problem by accelerating the implementation of our major Industrial projects,develop and organize export promotion effort,hardened the rationalization of our industry and let’s give the best assurances to our farmers to our farmers investors exporters to continue and encourage to invest in foreign investment.with this new development strategy we are determine d to carve out our rightful place in the world of business.The government must accelerate the economic growth through increasing public investment,improve agricultural performance,by offering big incentives to farmers,expand irrigation and other inputs. Economic and social progress can be attributed to a number of factors, political stability, general strong commitments to development, a large increase in our investment levels high priority given to agriculture and export sectors. Increase the international trading and last but not least strictly impose a sound and pragmatic economic management. The other concern that Filipino business people need to address is choosing the right people. Having a business internationally may require them to hire local people. Employee is one of the best assets of a company or a business. Due to cultural differences, it may be hard to choose the right people to represent the company or the business itself. The government may offer low interest loans to small businesses in the local market. Another way to help and protect local businesses is to impose high tariffs to imported goods. They must also have close monitoring to the employees and strengthen their campaign in combating corruption in Customs. Negrenses may have a hard time in exporting the goods to another country considering the location and transport. Negros itself does not have international airport and seaport. The cost of transporting the goods from one location to another is very costly. There is also a high risk of damaging and losing the goods during transit. What they have to do is to partner with trusted couriers to make sure that the goods are in safe hands and it will be delivered on time. They may also need to partner with other local businessmen that are into exporting and they may come up with bulk delivery. In that way, the freight and tariffs will be lessen and will be divided at the same time. Another issue is the payment process. Negrenses may have to fully adapt the technology for cashless transaction. Language barrier is another issue that may encounter by negrenses when going into international business. Although we may be good in speaking English, other countries may not still be fluent with it. Negrenses must hire the locals of that specific country that is knowledgeable enough about the culture and can speak the language. Another concern would be taking the risk to trust someone with the goods being imported and handles the distribution of the products. They must coordinate with agencies like Export Marketing Bureau to check and to make sure that the person you are dealing with are legal and legit. Negrense Producers faces issues on packaging and product quality improvements and tough competition in the global market. Competitors who had state of the art marketing scheme and packaging were on its edge. Negrense Producers, especially exporters has to further improve their products quality and a need to innovate its packaging – for it is noted that packaging is one of the major challenges for entrepreneurs. We have good products but still there is a need to be improved compared to other foreign entrepreneurs. Negrense Entrepreneurs particularly need to consider improvement on the packaging designs, kind of materials being used and make it more enticing to the buyers both in local and global target markets. Our government agency specifically the Department of Trade and Industry (DTI) including Department of Agriculture (DA) has to consistently do or provide something i.e. training or any assistance to the local entrepreneurs or producers on packaging and others– specifically to those who are in the export arena for the improvement of the product packaging to equip producers to be globally competitive. Joining International Food Expo (Ifex) with the support from the government of Negros will be a big boost to Negrense Producers. 1. On my own opinion, given the common the problems presented, the issue that Negrense are facing is the person dealing their trade. I have talked to one Negrense who will going to have his outward remittance for payment is that they need to investigate first the Company they are dealing with and if they have friends in that country they are asking favors to check if it is really legit. As what he said, today’s trading trust is a big word and that losing money for nothing is regretful. In addition commuting to other traders is also an issue, considering the time difference and the language barriers that some traders misinterprets what you mean to say. The government should coordinate with the traders and helped them investigate if the person that the traders are dealing with is not a scammer or not taking advantage of them. The pointers on articles helps a lot to those who plan to venture their business abroad and go international. I fully agree on whom you do business with. Language barriers is very important when dealing with other nationalities. I think Filipinos can really do well in exporting their business if they are well-versed enough with the diversityof people of that specific country, their culture and practices, and the government itself. Taken for example our local Bong Bong’s piaya. They just started joining in a fare trade in UAE and now you can see their products in a local shops as well as hypermarkets and supermarkets. I think its because of the population of Filipinos living in UAE. But even so, if you do not have a solid case study on your business on how to be known internationally. You wont be able to expand your business globally. 1.Legal differences – every countries have different rules and regulations that should be followed. It is important to apply those legalities, on how those products should be taxed in a certain country so that you can operate your business well. 2.Currency exchange – this is one of the issues to be considered also because exchange rate is not stable and it is changing all the time. It is important to create a long term planning and budgeting. 3.Local competition – being aware of your competitors so that you can create a marketing strategy to compete globally. Connect with the people who have the knowledge and expertise so that it can be more easier to expand in global aspects. Negrense people have also the ability to do business abroad. Some business men and even small entrepreneurs have undergone training in aspects of international trade. But when dealing with global transactions, negrense also faces different types of problems. Because of the differences in trade partterns and business policies among countries, restrictions and constraints is imposed on exportation or importation of goods. Another problem is the strict regulatory measures, foreign exchange rate volatility and higher tariffs and taxes being paid which is very costly for Negrense people. Some entrepreneurs also lack knowledge in handling new and recent equipment which is very useful in the production of their raw materials. To address the issues mentioned above, I think the provincial government should give focus and boost the international trade agreements with other countries. They should support even small, medium and micro enterprises by allocating enough funds for training and capitalization. This is a great investment since it will attract foreign investors which will be beneficial to the province of Negros. 1. Given the common problems presented, what do you think are the specific issues Negrenses face when doing business abroad? How can we address this? Basing from the post, the first issue that needs to be addressed as soon as possible is language barrier. Although English is the second language for us Filipinos, and we are good at it, it’s not all the time that other countries in which we want to do business with is good at it as well. Learning the language of the country, custom, tradition and culture is a must when doing business. We Filipinos can adapt to the change of culture drastically, we are one of the most flexible people in the world, but we need to be on our best when it comes to flexibility especially when we do business. Another issue that needs be addressed is the right importer to deal business with. Trust is not easily earned, getting the right person at the right job at the right time is as hard as finding a needle in the hay stack. So, before we get contract or deal with the person or company, research first and get as many options as you can, that way you can choose the best person to have a deal with. It had been long proven that our ancient ancestors had been in trading relationship with our neighboring countries which started a very long time ago. It allowed us to be able to enjoy the products and things that are not native here in our country. It allowed us to establish relationship with other people, learn their language and eventually, their culture. Nowadays, trading is very much different compared to what we have before. We have to follow certain rules and regulations so we can trade seemlessly with different countries. -For us to be able to go global, we have to ensure that we have enough capitalization. If only government can provide and grant loans at the lowest interest rate possible, our exporters will have a better chance of reaching the global settings. -Our government should equip our exporters with proper skills and training so they would know how to deal with other countries. This way, they have a better chance of surviving the global market. According to this blog, typical problems international traders face drift among location that specifically draw issues on geography and the transport of goods to the target market, payment process which requires digital transactions through cashless payments availability, language barrier that shall help establish trust between the exporter and importer, and choosing the right partner to deal business with especially with matters that involve money. With these common problems presented, I think Negrenses that do business business abroad specifically face the problem of location and transport which is a result of Philippines as an archipelago. Before the product arrives to the target market, it goes through various sea or air transportation which is vital in doing international trade that can compromise the quality of the product. Hence, this can be addressed by Negrenses that enter international export shall carefully research, study and analyze the factors pertaining to such in order to guarantee that goods shall be delivered as it is in whatever circumstance it may go through along the process of transporting. The specific issues that Negrenses facing when doing business abroad are the payment processing this is generic for the entire term for expenses on the operation of a particular business, and it is also the basic need. When you’re planning to having a business abroad it is safe to have secured big amount of bucks. This essentially ensures you have the capacity to pay out bills all throughout from the need of manufacturing such as manpower, resources and delivery to taxes and other fees for exporting required when having such since other countries’ currencies has highest money value. Another issue is the location and transport, this may sometimes cause delayed for deliveries and product damages because of this you have to reproduce new sets of products,monitor areas of delivery and its efficiency. In order to avoid difficulties when doing business abroad, is that you have to secure your capacity on paying of bills, and your consistency of paying those. Step by step try to expand business nationally. Selling of products specially with a fame of its name already in it is a big advantage that other locals would dare to buy it. i think the specific issues Negrenses face aside from the problems mentioned in the article is the huge tariff and export fees. most countries have different kinds of fees charged on goods coming into their country. Thus, making your product more expensive and less desirable/competitive than domestic products in their country. In short, if your product price is high, consumer consumption will reduced, the smaller your profit is. The emergence of cheaper China products are also a threat to Negrenses business because they are penetrating the global market nowadays. In addition, Negrenses also faced with very strict and difficult customs procedure in our country. Government should review unnecessary domestic regulations about export procedures. Make strategies for regulatory reforms about trade and export in the country.The DTI should collaborate with other sectors or organizations like Philexport and Export Development Council to help exporters diversify new products to new market. Identify and develop capable products for global demand. Address export competitiveness by harnessing potential goods and services for the Philippines to attain comparative advantage. Business is difficult to manage when you do not have enough knowledge about the business itself and the location where it is established. Many business fails to last long. It is because they don’t have enough preparation to research and study about the business they will build. The issues of most business people especially the Negrenses face when doing business abroad for me are; the exportation of the product are too expensive than the original price because of the tariffs or taxes the government charge for every product to enter in their territory. Laws of the country or state also is one of the issue since Negrenses are not familiar to what legal and illegal things to their place. Getting permits to a business is also difficult to other countries especially if you are not a resident of the country. Adopting and locating what or who you will market is also a must. People don’t have enough idea of the product that they are selling and you have to adjust your styles or taste of your product according to what religion or place you are dealing with. First, the language barrier, yes Filipinos specifically the Negrenses are good in English however, there are many countries around the world who doesn’t know how to speak English. Dealing with this kind of problem should any parties bring with them a good interpreter to speak well on their behalf or study first the language of the specific country you’re planning to deal business with. Second, culture differences. Bringing business in the global is one of the toughest decision you will ever made. A culture shock of course the Negrenses will be facing at first. Culture differences will vary from one country to another. Learning, understanding, and adopting the culture of the country should be fully embraced. Third, aside from the mentioned above, going global has many areas to consider, the following are; transportation of the products, payment process, trust, laws, rules and regulations and politics. Before entering into the global business do a thorough research, more inquiries, and study first of the areas mentioned above. A major challenge in doing business business globally is to adopt excellently differences between each other culture.Such adaptation to language religion, beliefs, way of living and culture. Making your business globally as a high risk on other hand a big achievement also to the company. Thus, it should still take into respect language barriers as well as different attitudes. As part of company’s vision-mission to be the top and globally competence, it must prepared and understand the cultural ways in propagating business worldwide. To offer a universally competent business and to satisfy customers. While navigating those all prospects cross-cultural differences of country’s, its a big challenge to all of us the impact and risk to our business but all of those challenges through familiarization, sensitivity, openness to make everyone lives easier. Q1. Given the common problems presented, what do you think are the specific issues Negrenses face when doing business abroad? A1. Payment process is one of the common issues faced by Negrenses specifically for those were engaged in imports and exports. First and foremost the company needs to identify the exact computation on the taxes and duties to be paid in doing the transactions (Problem: mostly, payments have been cut-off due to undeclared items), if not you will be subject for penalties and the company might be blacklisted. Q2. How can we address this? A2. Businesses expands globally must hire law experts to determine the different law in different countries to avoid penalties and litigation. Negrenses find it expensive to hire lawyers, but some tried to be vigilant and dare to pay for their lawyers just to protect the image of their company. Question: Given the common problems presented, what do you think are the specific issues Negrenses face when doing business abroad? How can we address this? 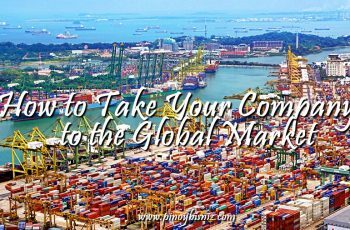 Expanding your business globally provides a lot of new opportunities, growth and profit to the business but it also provides a lot of significant risks and challenges associated in going international. Specific issues that Negrenses or business owners face are mainly connected to macroeconomic factors and those are language issues & cultural barriers. Logistics would also be included as one the issues that can affect the entire business. When conducting business to other country, we should always be familiar with norms, culture and the tradition of that particular country. Hiring a local representative can mainly help the entire operation of your business or invest in learning the language in that way it will help you communicate well with your customers. Issues with logistics (shipping, customs or transportation) would also arise given the fact that Philippines is an Archipelago shipping cost would really be too high and delayed delivery of goods would greatly affect the business so its best to plan ahead and be positive at all times. Best approach in solving logistics issues is to find the right partner and build partnership with local businesses. With the local knowledge and expertise it can help you find alternatives in delivering your goods to your customers on time and they can also help you gain more costumers. Expanding business internationally means next step for the growing of the company. One of the specific issues Negrenses face when doing business abroad is the right importer to deal business with because if the company is planning on going globally, building rapport with the importer is the best thing to do. Finding a trustworthy and knowledgeable people when dealing a business is very challenging. The company must establish good relationship with the importers to know someone that the company can trust and who can assure the company products or goods that send out on the other countries are in good conditions. Another one issue in doing a business abroad is choosing the right countries because before expanding the company internationally, it must conduct enough research to determine if the company’s product is ideally okay in that countries market. Venturing into exporting business nowadays is a very challenging aspect of every business. Before deciding to get involve in a risky undertaking of exporting, there are a number if not a few considerations that needs to carefully think about which needs to be accounted and planned. Negros is located in the middle and one island out of 7,641 islands in the Philippines and since we are an archipelago, products that we export will need to have more than one transfer from Negros before it could actually be out going abroad. This will take time and pricey as well before it will actually reached the desired location outside the Philippines without sacrificing the quality of the product. And in some cases if not all, transport needs a little boost in what we call “under the table” to expedite the process. To be able to compete globally, Negrenses exporters needs to improve the quality of the products that we are offering to the global market. Thus, it will be best to improve the type and design of the packaging used to be more competitive along side with the other exporters globally. This will create an edge over the other products offered globally attracting the buyers. The exporters needs the support of the local government in meeting the quality standards to attract more potential clients and eventually get more orders by coming up with seminars and inviting the exporters to it. The Right Importer to Deal Business with is the major issues of Negrences and all importer doing business abroad. When choosing a shipment line partner, need to do more research for the best freight forwarder, do a background check about the company, if that’s a reputable company and be careful to deal with and transact legally. In doing business abroad, Negrenses face issues like processing documents or requirements to send goods or products in other countries, expenses in processing, safe delivery of goods or products, communication and the trust to the target market or business partner in that particular place. To address these issues, first a negrense businessman will study the cycle of processing the documents. After knowing the cycle, he or she will coordinate or make a proposal to the government about his or her products so that the government will be able to know the contribution of the products to the country’s economy and if the products are profitable, the government may also give support to export the products to other countries. For the security of goods or products in delivery process, negrense businessman can also get an insurance to it. In order to avoid being scam by other countries, through good communication, he or she can request documents as a proof of legality of transaction like the contract. Aside from the beautiful products like masks, accessories, and garments; Negros Island is very popular when it comes sugar product. Doing business in the global arena is a tough and challenging task for any Negrense businessman. Some of the problems they may possibly encounter are the target market itself, sufficient knowledge in doing business in the international market, and the culture of its target market. The target market can be an issue because Negrense businessmen need to identify what country is feasible to be considered as a target market. Competition is stiff, a manufacturer needs to make its product unique from others and that is something Negrenses need to consider especially in choosing a particular country where it will sell its product. Product acceptance is a must. Second, Negrenses needs to have broader knowledge and understanding when it comes to doing business abroad. Sure they have knowledge on becoming successful in the local scene, but becoming successful globally is a different story. And third, Negrenses must consider cultural differences. Culture is beautiful but is complex at the same time. Knowing the norms, values, beliefs and attitude of the target market is advantageous, it will make you understand them better and allows the marketer to provide product aligned to their needs. These issues can be address if Negrenses will conduct thorough study and analysis of its projected target market. Before venturing in the global business, one must be sure of who and what they are dealing with. Also, businessmen needs to undergo further education, attend symposium and seminars and build linkages with others. Sometimes the more you know, the better. And lastly, appreciate diversity. 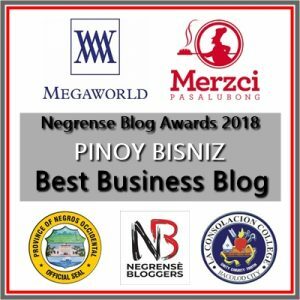 Negros entrepreneurs who trade internationally definitely face the common problems cited in the article, but I think it’s location and transportation that creates a bigger impact on Negros traders. As compared to other traders from Manila and Cebu who enjoy better access in airports and seaports, Negros business people has to face a more complicated route arrangement in transporting its goods abroad. Majority of products from Negros are shipped via Cebu, Iloilo or Manila. Our local airports does not have international flights. Our seaports have limited facilities as well. And because of this issue in transportation of product, it adds up to the cost of our product which might affect product competitiveness in the foreign market. 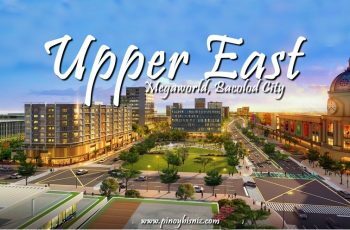 The current Build, Build, Build program of the government, when fully implemented will be a big help for Negros traders. More bridges, additional seaports and airports as well. This will help ease Negros traders shipment issues and will give boost to local products.